On a peninsula bordering New York, Pennsylvania, Delaware and the Atlantic Ocean is a state small in size but rich in people, culture and history. From its lush farmlands to its pine forests and 127 miles of beach, New Jersey’s natural treasures are as captivating as they are varied. But look closer—past the wooden boardwalks, picturesque mountains and inspiring museums, and you’ll see: the true landmark of The Garden State is its deep commitment to educational excellence. From this foundation, let’s explore the future of education in New Jersey. Together we will travel along an educational path to discover how we can ensure that all 1.4 million New Jersey students have the opportunity to fulfill their potential. Our vision for the future of education acknowledges that we must continue raising the bar for educational excellence. To reach that bar, we must reimagine education to secure the future success of all children, our communities and the economy. Together, we will set the direction of New Jersey’s education system. 1 The Nation’s Report Card, “New Jersey Overview”. 2 State of New Jersey Department of Education, “2017 Graduation Rates”. 3 National Center for Education Statistics, “Public High School Graduation Rates”. 4 State of New Jersey 212th Legislature, “School Funding Reform Act of 2008”. 5 National Institute for Early Child Education, “The State of Preschool 2017–New Jersey”. 6 NJ.com, “These are N.J.’s top 23 high schools, as rated by U.S. News”, May 9, 2018. Before our travels began, we set out to listen to the voices of our community. We spoke with hundreds of students, teachers, parents and local leaders. Here is what we heard about how we can better serve New Jersey’s children. 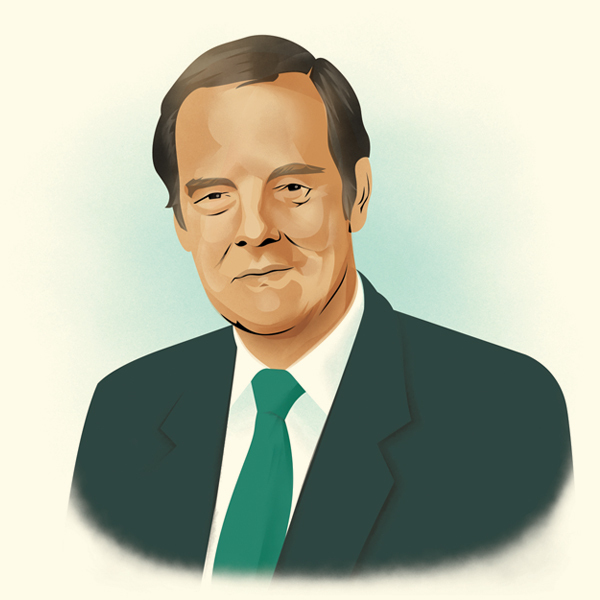 Tom Kean was New Jersey’s governor from 1982 to 1990. A former teacher, Governor Kean advanced education policy by raising teacher salaries, instituting high school graduation tests, adopting new education approaches in urban schools and establishing a series of Governor’s Schools. He has served as co-chair of the JerseyCAN Board since its inception in 2013. Jody-Anne Jones is the principal of Newark’s North Star Academy Clinton Hill Middle School. She has been a teacher, instructional leader and dean of students. 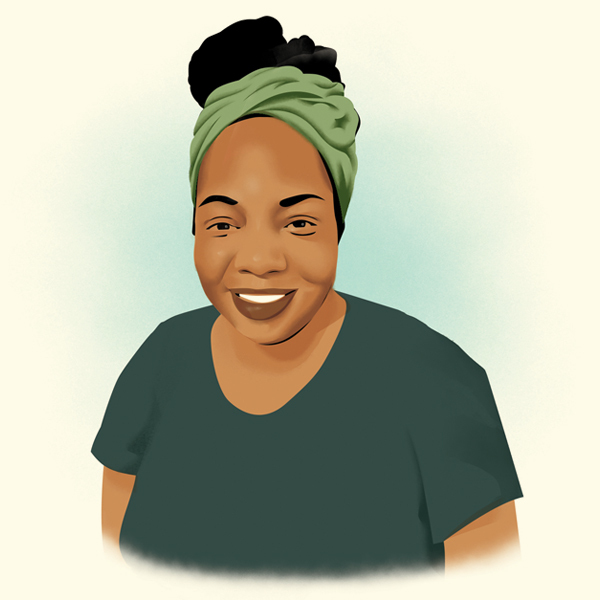 She earned a master’s from Cornell University’s Africana Studies and Research Center, a master’s from Relay Graduate School of Education and a bachelor’s from Rutgers University. Tafshier Cosby is a lifelong Newarker, a proud mother of three and a passionate advocate for education equality. 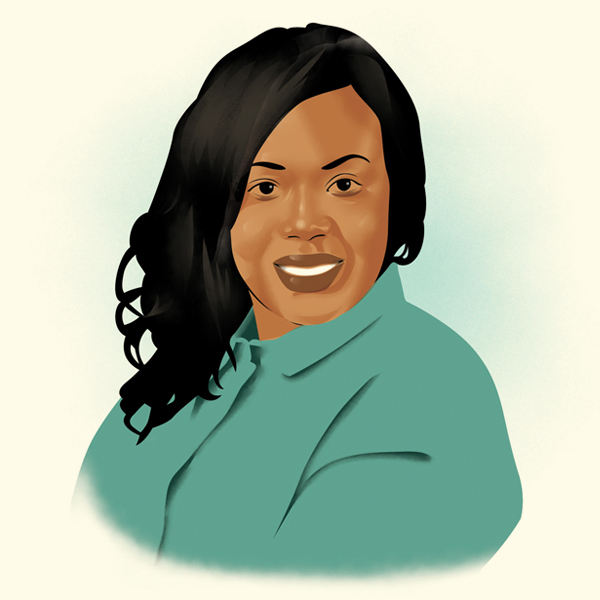 She was a 2016 fellow in 50CAN’s YouCAN program, 2017–18 KIPP-NJ Impact Leader Fellow, NJ State PTA member, member of the We Raise NJ Coalition and a TEAM Academy Board member. Alejandra Ceja is the executive director of the Panasonic Foundation. Ceja formerly served as executive director of the White House Initiative on Educational Excellence for Hispanics under President Barack Obama. 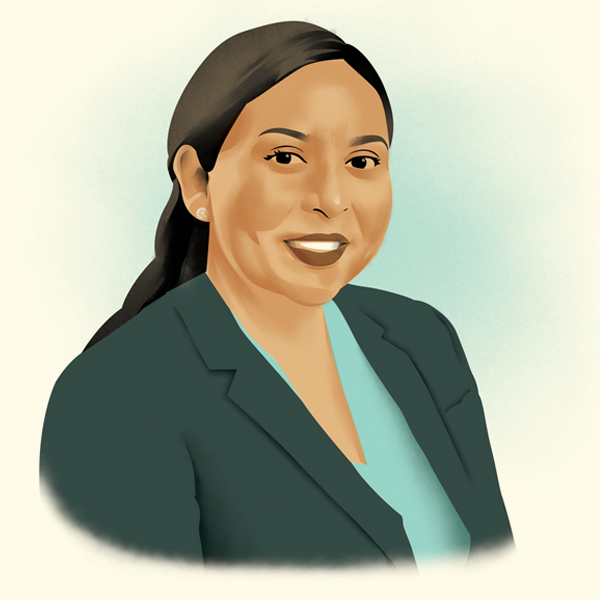 She received her master’s in public administration from Baruch College, City University of New York, and her bachelor’s from Mount St. Mary’s University in California. 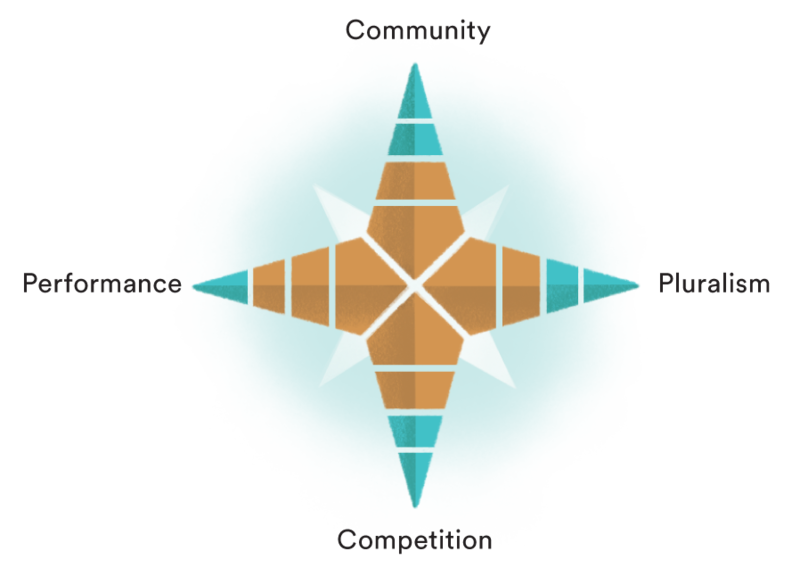 Grounded in a legacy of possibility, we will orient our travels around four guiding stars to set goals for the future of education in New Jersey. New Jersey is a national leader in education—but to remain a leader the bar for excellence must continue to rise. This starts with making sure our students are in educational environments that help them realize their full potential, and the shared belief many paths lead to success. To reach this destination, we will embrace high standards in all our subjects. We will maintain assessment systems that provide teachers and parents with actionable data to meet students where they are, and continue them along the path toward academic excellence. We will identify and learn from high-performing teachers and schools to replicate and implement proven strategies. By aiming high, we can ensure that excellence is woven through all our schools. All children deserve an excellent education, regardless of where they were born, their cultural background, their socioeconomic status or their zip code. Our education system must eliminate any structural inequities and embrace every child’s unlimited potential. To reach this destination, families must have access to high-quality, culturally relevant early learning opportunities. Students must then receive continuous support with appropriate resources and excellent teaching. This means students learn rigorous academic content in an individualized way, to ensure they stay on track to meet and exceed expectations. Equal access is the foundation for achieving equity, but our entire system—from families and schools to workplaces and public policies—must align to eliminate barriers to a child’s chance at success. A child’s educational experience is among the most formative experiences of their life. Every child deserves to learn in a safe, supportive and academically rigorous environment. Yet, many New Jersey students are limited to just one educational option: their neighborhood school. When a school is not meeting the academic or social-emotional needs of a child, families need options. 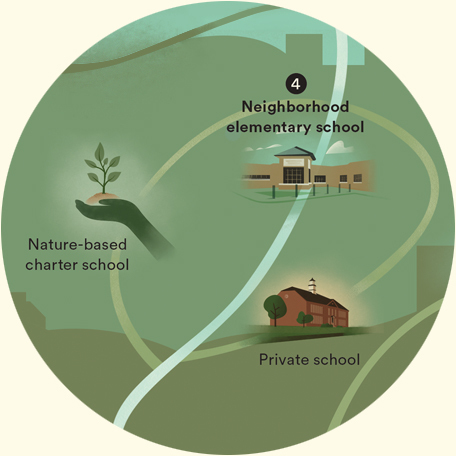 To reach this destination, we will help foster a system of diverse educational choices available to all families. We will prioritize programs that provide options to our most vulnerable student populations and support families in choosing the right educational home for their children. Families will navigate an education system with the right tools and valid information, and we will work to ensure policies and programs are in place that recognize and support those choices. New Jersey has a rich history of innovation and scientific progress—yet we see a growing skills gap between students interested in and prepared for STEM jobs. We must prepare our students to grow our innovation economy in this fast-changing global landscape. To reach this destination, we will support pathways that increase access to STEM learning opportunities. We will foster public-private partnerships, expose students early and often to in-demand fields like computer science and identify solutions for the STEM teacher shortage. 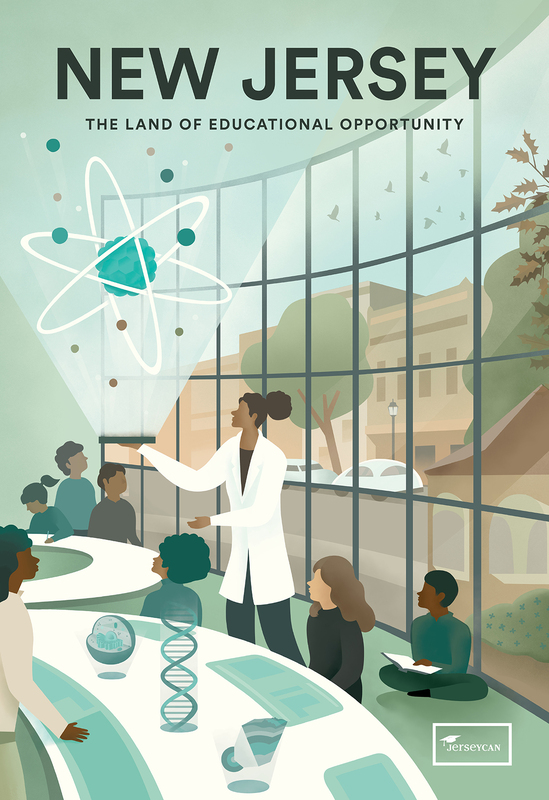 We need a strong STEM education pipeline, and a statewide vision to ensure we are thinking about equity, resources, teaching, curriculum and workforce connections in a comprehensive, creative way. We strive to provide every New Jersey student with the best education in the world. The influence of our innovative graduates will reach far beyond our mountainous north, coastal middle and agricultural south to the farthest corners of the world. From Clara Barton and Thomas Edison to Alice Paul, Albert Einstein, Paul Robeson, Buzz Aldrin, Toni Morrison, Judy Blume, Jon Stewart, Christine Todd Whitman and Cory Booker, we see there are no limits to the local and global impact New Jerseyans can have throughout their lives. We are one of the most diverse states in the country, with the fourth-highest number of immigrant students. Our students speak a wide range of languages, from Spanish and Portuguese to Arabic and Korean, and we are situated uniquely just minutes away from two huge cities: New York and Philadelphia. We also have some of densest major road and railway systems in the country, allowing us to access endless possibilities of culture, education and industry. We know that protecting our legacy of innovation and embracing our diversity will allow our state to continue to thrive. ➊ Every student has access to exceptional educational opportunities. They graduate with the knowledge and relevant experiences needed to realize their full potential and contribute to our community, economy and beyond. ➋ Every family is empowered with relevant, accessible and timely information about our schools to make informed decisions about their children’s education. ➌ Our state, districts, schools and teachers foster robust higher education and career connections to ensure we align what happens inside classroom with the needs of the workforce. ➍ We ground our education systems in our unique history, culture and diversity, and we celebrate those individual pieces as the interwoven tapestry that makes us, us. Kayla is the youngest of a family of three children. Her parents work in Plainfield. 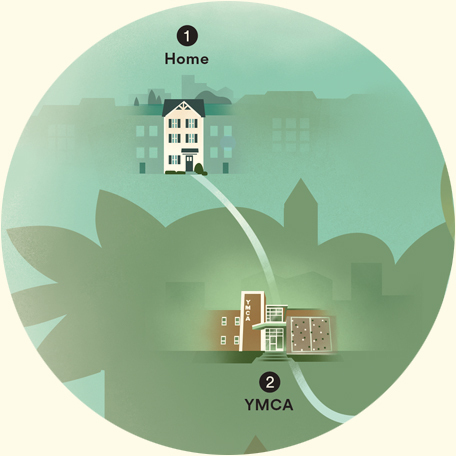 Kayla’s family belongs to her community YMCA, and they enroll her in the Y’s infant child care. Here, classrooms are designed to foster curiosity, interactive play and self-discovery. The atmosphere encourages exploration, socialization and language skills. Kayla’s family considers three pre-K options. They choose a Head Start program located in their neighborhood elementary school her older brother and sister attend. Kayla seamlessly begins her elementary education at the neighborhood school where she attended pre-K. She joins a recreational after-school club for STEAM (science, technology, engineering, arts and math). Kayla gets accepted into a STEM magnet school in her district for middle school students. She really enjoys computer-aided design and 3D printing. 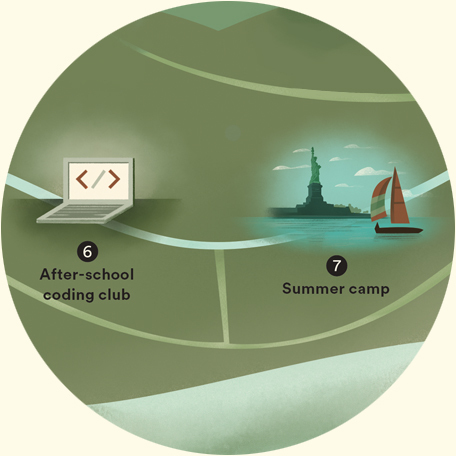 Kayla’s school offers an after-school program to introduce girls to coding in a fun and friendly environment. This fuels her budding interest in design, specifically in web and app development. Kayla’s family visits the Liberty Science Center often, and Kayla comes alive when she’s there. Her family enrolls her in a summer Sailing & STEM program to continue her learning on the open waters. Kayla gains lottery admission to a STEM-focused charter high school. 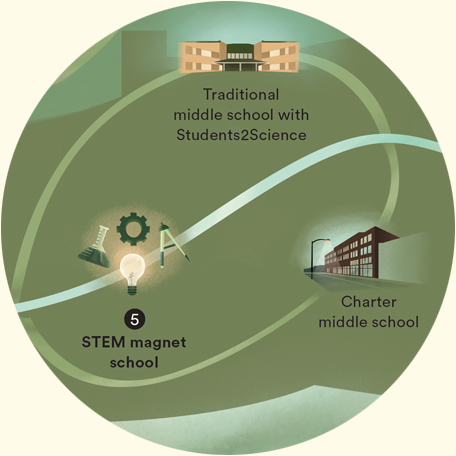 The campus—a STEM ecosystem itself—houses a K-8 charter school, Kayla’s high school, a research and workplace facility for tech start-ups and a residential community for graduate-level STEM students in New Jersey. 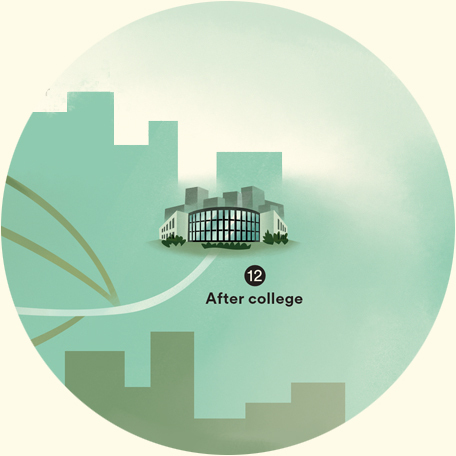 In high school, Kayla receives tutoring from a graduate student who lives on the same campus. This connection leads her to an internship at the web development start-up where her tutor works. Kayla graduates high school with a STEM honors diploma and the company where she interned offers her a job. She decides to go to college instead. Kayla attends a local university, majoring in Web Design and Development. While in school, she volunteers at an after-school STEAM club, as well. In her junior year, she completes an internship with a national technology company headquartered in the state. Following the successful completion of her junior-year internship, Kayla is offered a job after graduation at a national technology company in her home state of New Jersey. 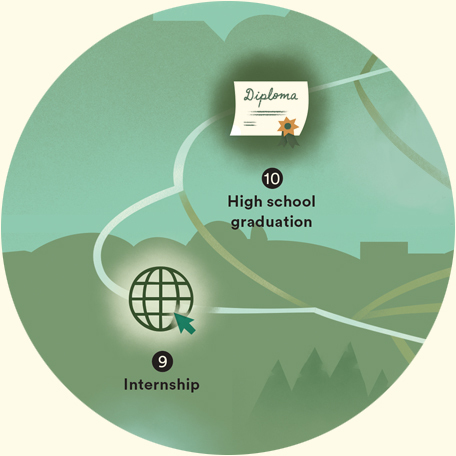 Kayla and her family could have navigated this map 3,456 different ways to customize her education. The map represents only a small fraction of the total choices available to them. Our nonprofit, business and community leaders are committed to working with schools and districts to improve student outcomes at large. Yet we still have progress to make to ensure meaningful communication with parents, more ways to get involved in our schools and a teaching force that reflects the communities it serves. We provide students and families with access to alternative education options such as charter schools, magnet schools and vocational-technical schools. However, we must go further in helping families navigate the choice system successfully, with clear and accessible information. We have invested in high academic standards and currently have an aligned, high-quality assessment tool. However, we must increase school leader operational autonomy, and encourage more data-driven decisionmaking and continuous school-level improvement. Our state has funded a range of alternatives to traditional education and has provided flexibility to schools in which curriculum they teach. However, we must go further in investing in new educational pathways and models that meet the needs of all students. Founded in 2013, JerseyCAN is dedicated to advancing excellence and equity in New Jersey’s K-12 education system. Our vision is of a New Jersey where all students thrive in excellent schools. To achieve this vision, we work in partnership with education leaders, parents, students and other stakeholders from across the state to remove policy barriers and strengthen opportunities for students. JerseyCAN is a branch of 50CAN: The 50-State Campaign for Achievement Now. → Empower yourself with knowledge. Want to learn more about education in New Jersey? Visit jerseycan.org and sign up for our emails to stay in the know. → Share your ideas. 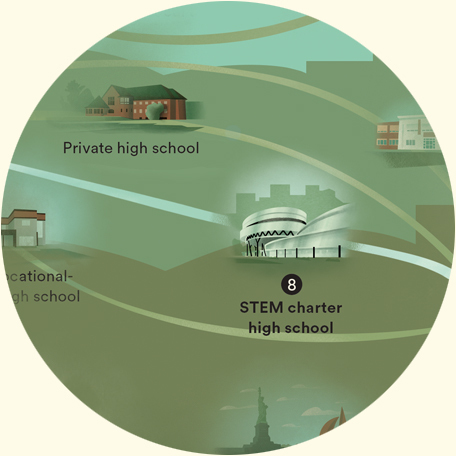 How can New Jersey aim high in education? Share a post on social media with the hashtag #KidsCAN. → Start the conversation. We would love to hear from you and talk more about working together. Email us at info@jerseycan.org. → Join the campaign. We would love to help you get involved. Text “JerseyCAN” to 52886 to sign up for updates on education advocacy opportunities across our state. Together, we can build an education system that provides an excellent education to all students in New Jersey.